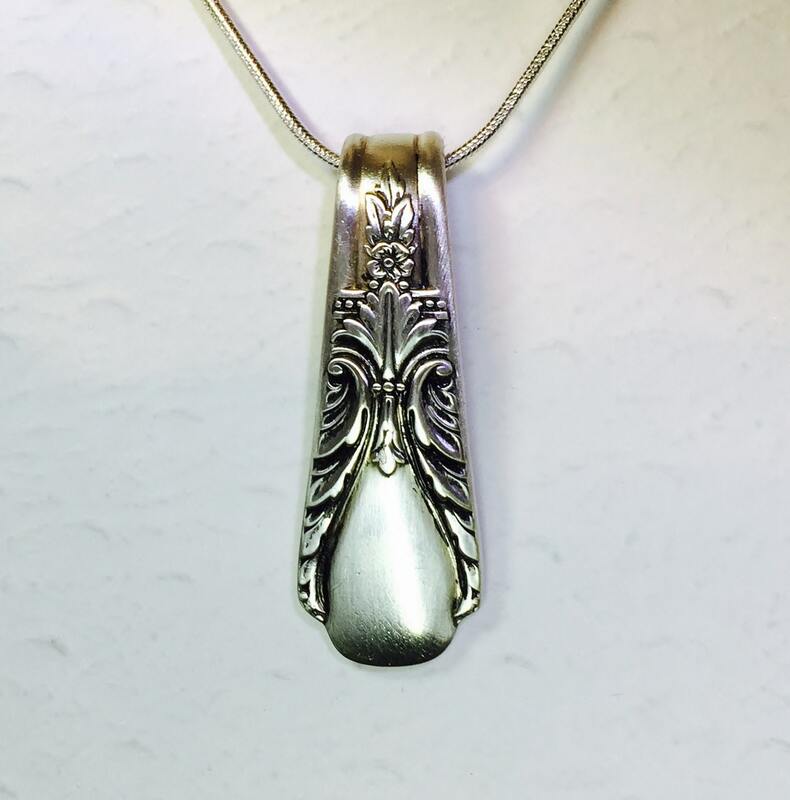 This spoon necklace was created from a sterling silver plated teaspoon in the popular Art Deco scroll pattern, "Avalon" from 1940. It measures just 1 1/2", so it's a nice small/medium pendant that will look great on any size person. 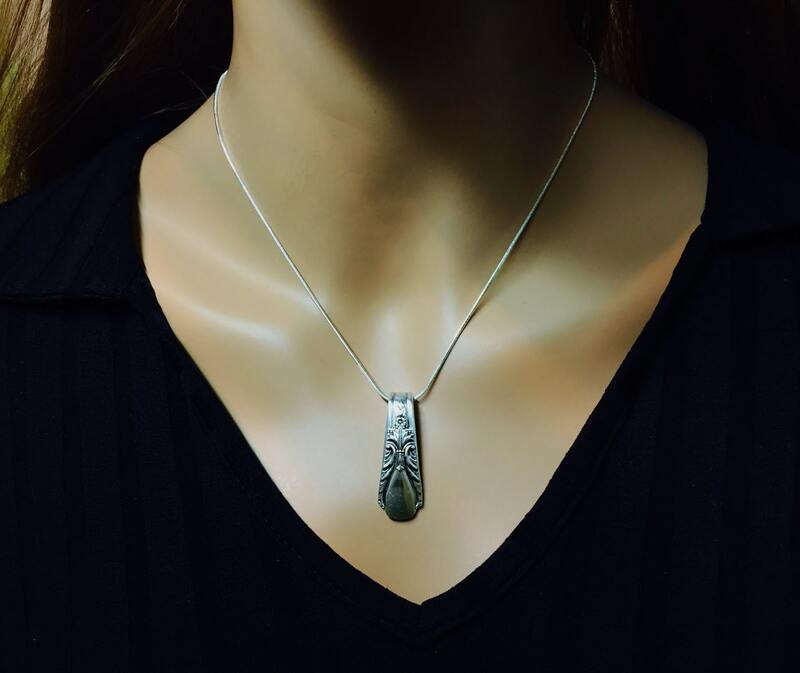 This spoon pendant is shown on a standard 18" sterling silver plated chain with a lobster clasp. If you'd like a different length, you're welcome to trade it for a 16", 20", or 24" chain instead. Just choose your favorite length at checkout. 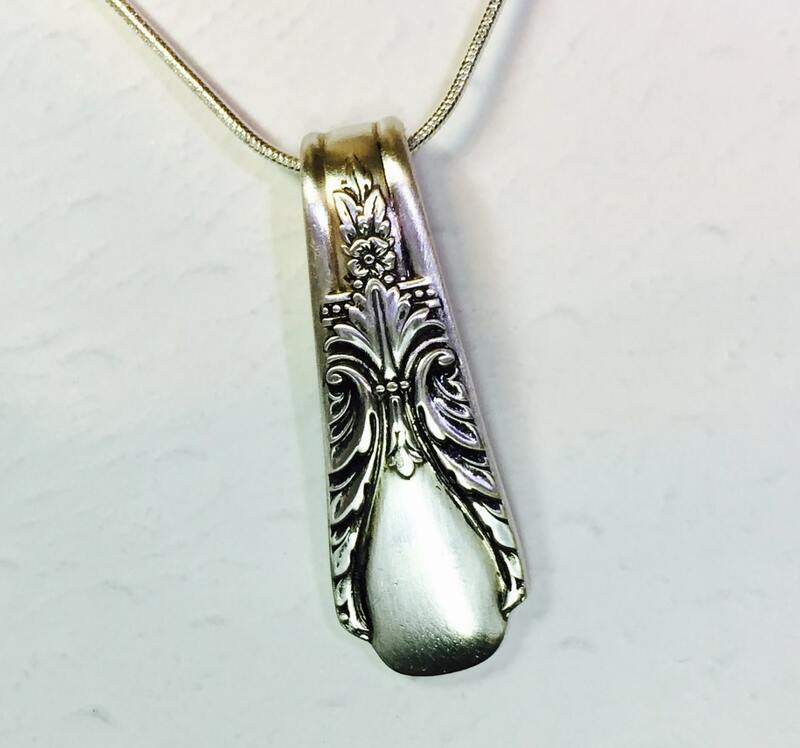 This casual piece of silverware jewelry will arrive in a festive organza gift bag; along with the pattern & age of the spoon, and a Spoonfest Jewelry story card. Received item quickly. More beautiful in person! Highly polished and looks amazing on a 16 inch chain. Very unique gift! This is the second room I've ordered from this store and I will order again in the future!! Marianne is SO sweet and professional. I love her jewelry! 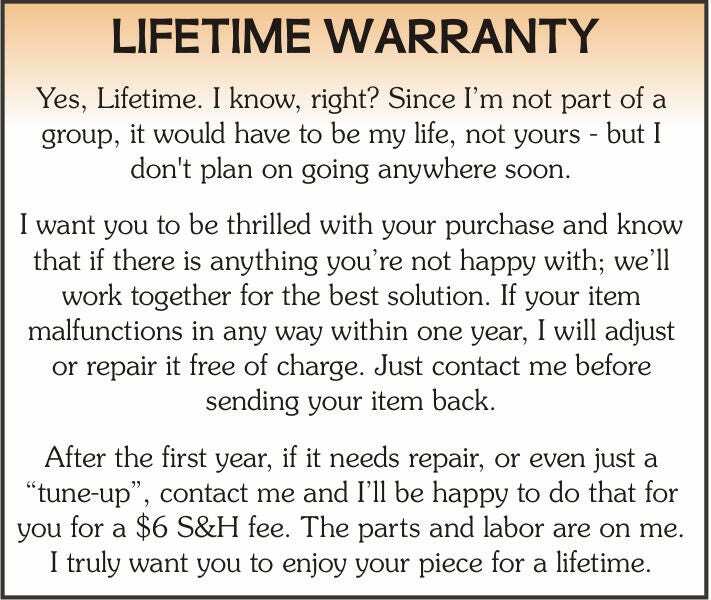 It's well made and I love the lifetime guarantee that is offered on her items. Thank you again for another beautiful piece of jewelry. Bought this as a gift and it was greatly appreciated. Loved the little bag it came in! 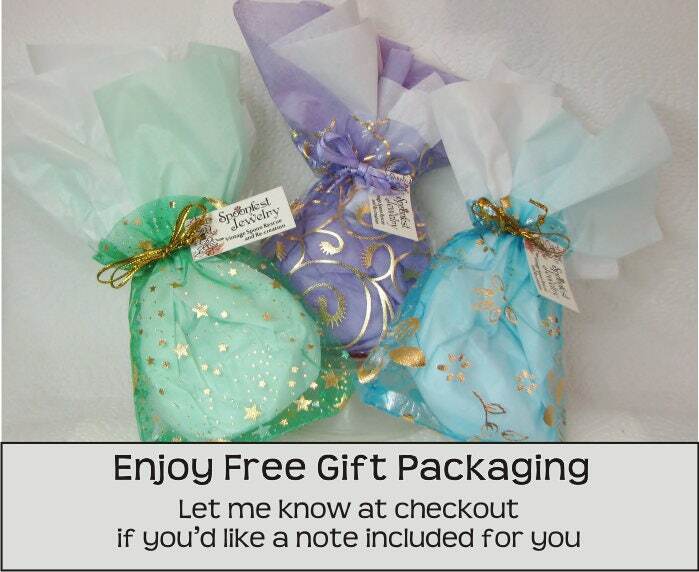 All ready for gift giving. My daughter loved this! Purchased for her B-Day! 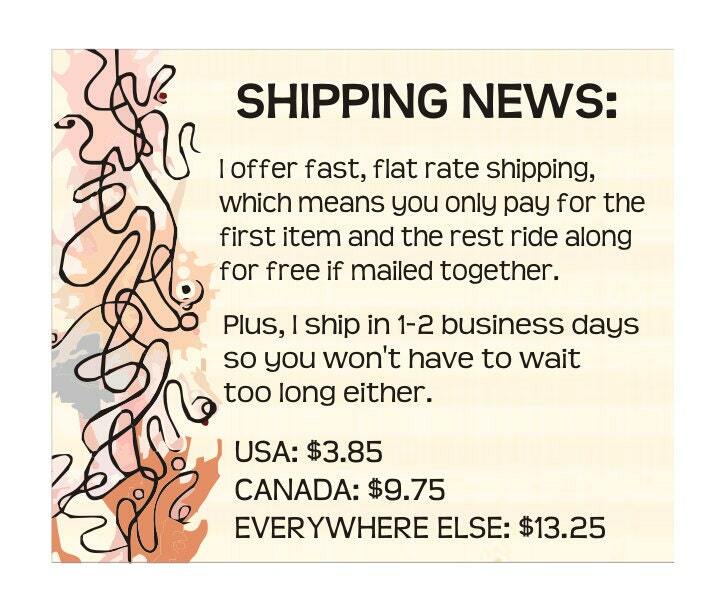 Fast shipping!